Master Your World: 10 Dog-Inspired Leadership Lessons to Improve Profits, Productivity, and Communications demonstrate a systematic approach that works with people from diverse backgrounds, of all ages, at all levels of the organization, and, of course, with all dog breeds. I admit it. Talking about my dogs is my way of tempting you to pick up this book. No, it’s not about training badly behaved dogs, nor is it filled with fluffy, feel-good sentiments. It is about practical, sensible strategies for understanding people and getting the best from them. This book is not nearly as furry as it sounds. 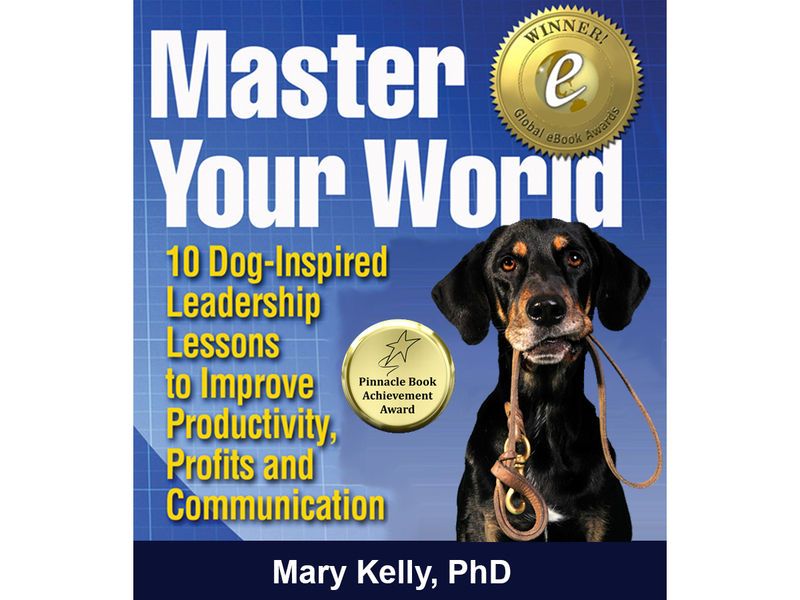 This course reflects personal experiences and tried-and-true techniques for getting the behaviors and performance you want from the people you work and live with, and, yes, even with the canines in your life. It has been assembled for new managers, experienced supervisors, and team leaders who are looking to improve their workplaces as well as parents and community leaders seeking fresh ways to deal with challenges. Wow, I was impressed. 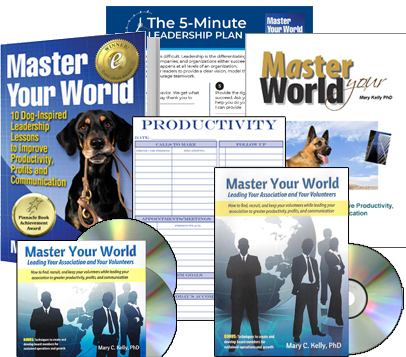 I found the course entertaining, engaging and most of all usefully functional. I’ve framed my certificate and hung it in my office. Other noteworthy result is the pay raise I received for having this arrow in my quiver.